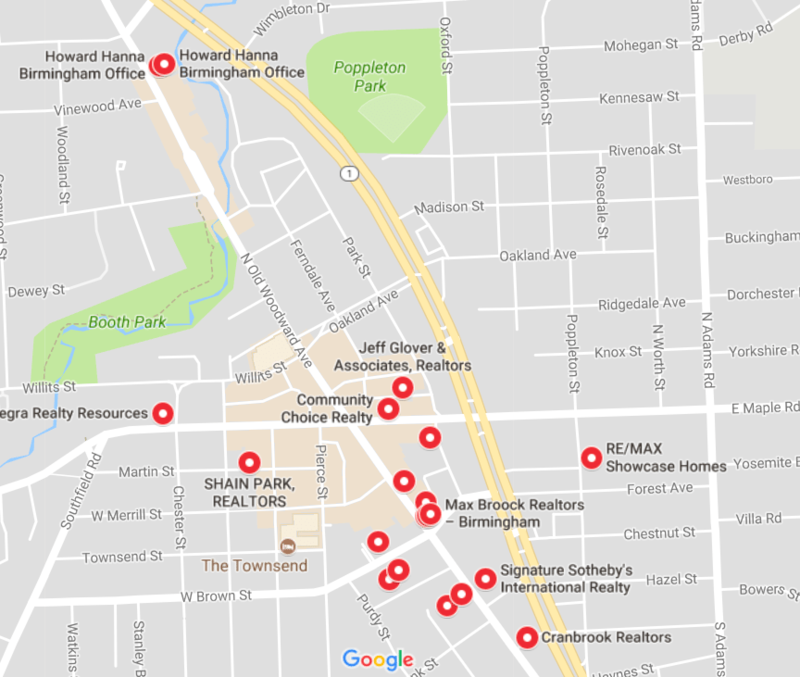 Detroit real estate is on fire, and it looks like the Motor City’s potential is not lost on Howard Hanna, the third largest brokerage in the country by transaction sides. The Pittsburg-based real estate company is building up its presence in the state of Michigan and this week acquired Cranbook Realtors, a brokerage of 70 agents with offices in the Detroit suburbs of Birmingham and Franklin. Inman has reached out to Howard Hanna about the terms of the acquisition, which were not publicly disclosed. For the first time in four years, Detroit landed in the top 5 on realtor.com’s “Hottest Markets List” in the month of August thanks to home prices that are 20 percent below the national average ($258,300), offering buyers an affordable haven. Moreover, homes in Detroit are currently selling within 39 days — 27 days faster than the national average. A northern metro of around 20,000 residents, Birmingham is a hot bed for real estate offices. Howard Hanna already had a location there before the Cranbrook acquisition. Data from Trulia shows upward trending prices in the Birmingham market in the past year. Nearby Franklin has a population of about 3,000. The two cities will add to Howard Hanna’s seven Detroit metro locations. Family-owned Howard Hanna has more than 9,000 sales associates and 259 offices across the country in states including Michigan, Ohio, Pennsylvania, Virginia and North Carolina. Cranbrook Realtors has been operating for 45 years, servicing Oakland county. Cranbrook’s luxury home business will benefit from the Homes of Distinction program Howard Hanna offers, said Wolf. “The listing tool of 100 percent Money Back Guarantee will set us apart from other real estate companies,” he added. “The great synergy of Cranbrook Realtors and Howard Hanna will allow us continued growth in the markets we serve,” said Kristine Burdick, president of Howard Hanna Midwest.